I love discovering new makeup, especially concealers! Sometimes due to stress I can’t get a good nights rest, that’s when I wake up with puffy eyes and dark circles. Bye Bye Under Eye Concealer by iT Cosmetics is a miracle, it’s more then just full coverage, it also helps conceal bruising, and swelling from cosmetic procedures. I’ve been testing it for the past two weeks and can’t seem put it down, it’s amazing and a little dab goes a long way. Bye Bye Under Eye Concealer can be worn underneath or over foundation, plus it’s hypoallergenic, non-comedogenic and available in four natural looking shades, one for every skin tone. 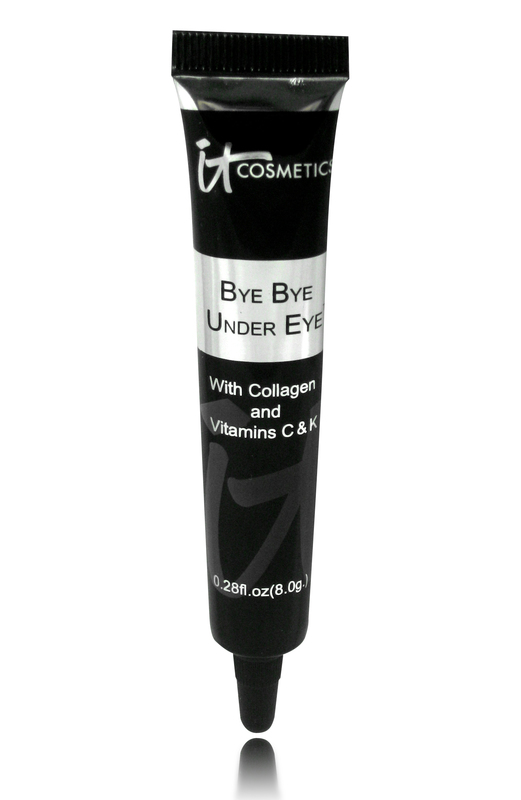 Bye Bye Under Eye Concealer by iT Cosmetics gets a TEN! I have been looking for a Concealer that takes care of these problems I definitely want to try this product out. It’s a great product – it really does work. A little bit goes a long way – I felt guilty because I’m heavy handed and needed to teach myself to use a dab, and I mean a dab. Let me know if you get it and what you think?